Veralyn Chinenye is an Epistolary Poet/Award Winning Digital Writer and was Long listed among the top 100 Poets for the Nigerian Students Poetry Prize (NSPP) 2018, and her poem “Pregnant Men” won the third prize for the Ikreate Potential Talent Contest 2015. She is the Moderator of the 365day Poetry for Advocacy and Social Change Challenge on Sprinklestoriez.blogspot.com, where she amplifies the voices of young people across Africa, using poetry as a tool to demystify ills and social injustice. She volunteers at the Radio Nigeria, Canaan City FM , Calabar, where she presents and reads poems to address issues affecting Youth and National development. 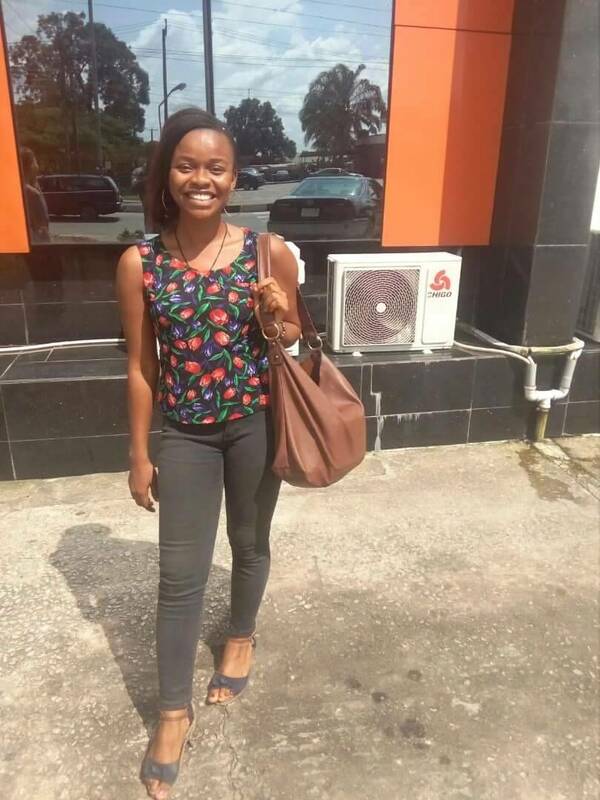 She is a closing student in the University of Calabar, majoring in Digital Poetry and Advocacy/Sociopolitical Activism in the Department of English and Literary Studies. She is also the Lead Representative, Poets in Nigeria(PIN) University of Calabar Connect Centre along side her co-reps, where they coordinate poetry activities on campus. Veralyn Chinenye like challenges and she is trying her hands on Spoken word poetry, Flash fiction and Professional graphic designs and Event Compere. She was TedxCalabar 2018 event Compere. Whyke Anthology: Good day ma, I’m a correspondent of Whyke Anthology. Veralyn Chinenye: Good to meet you. Whyke Anthology: Same here ma. Please can our readers know you more? Veralyn Chinenye: My name is Veralyn Chinenye, an Epistolary Poet & award Winning Digital Creative Writer. I’m a closing student in the University of Calabar, majoring in Digital Poetry and Advocacy/Sociopolitical Activism in the Department of English and Literary Studies. Whyke Anthology: You’re welcome Ma. According to your school of thought, how would you define Contest/Competition? Veralyn Chinenye: A contest/competition is an activity or event people engage in to attain a prize or level. I’m defining it based on what we have been conditioned to see contest/competition, but in my own perspective, I see contest as some sort of jostling for a prize, as well as level attainment. The primary importance of a contest is to test people’s ability, to challenge people to think beyond, act beyond & aspire beyond their present state, while the secondary aspect of competition/contest is the prize, which is the reward for contest/competition. I think contest should be about personal development, bringing out the you in you, meeting different people from different environments, testing your abilities on different grounds and winning a prize. Whyke Anthology: According to your definition, are African contests fulfilling or playing around with this definition? Veralyn Chinenye: Contest in Africa has been watered down, diluted, the standard has been levelled down. Anybody can be anywhere & compete for one thing, as long has he/she has some sort of influence on social media, that person can win. This kind of things are so rampant on social media even for so-called ‘big awards’ The African society is not fulfilling my definition of what a contest should be. Recently, I read an advert online for “Face Of Economics” in a particular university, soliciting for likes, I read through the profile of the contestant, his hobbies were not related to what he was contesting for. His philosophy of life didn’t reflect that of an aspiring ambassador and it got me wondering what exactly is he going to do as an ambassador for the “Face Of Economics”. In contests like this, permit me to say, the winner is not always worth the win, because his/her social media influences the prize and awards for him/her through likes, votes and comments. The African society, needs to redefine what a contest is. Whyke Anthology: What good in your perspective has contests, either in “prose, poetry or drama” contributed to the literary world? Veralyn Chinenye: I said earlier, contests help to put people on platforms, it helps people know they can do more than where they are. Undiluted contest has made people think beyond their capabilities, made people publish their books. I know people who wrote prose and just kept them, and contest platforms helped them publish their books through submission they entered it for and thus motivating them to keep writing. In the just concluded Nigeria Student Poetry Prize (NSPP) 2018 organized by Poets in Nigeria (PIN) too, over 400 submissions were made after which a long list of 100 poets whose works made the top 100 were published in an anthology, thus encouraging writing amongst young poets. In 2016/2017, I managed an Open Space Mentoring Workshop for the James Ene Henshaw Foundation in collaboration with the British Council, which led to a Festival of New Writing in Drama selected out the numerous submissions we received during the Open Space Project, three winners got their works performed in a theatre and prizes where given based on their delivery and creativity. And this leap encouraged more persons to start writing plays and seeking out for mentorship on how to be better writers. Undiluted contest has contributed immensely in encouraging and sustaining creativity and personal development amongst writers of the art. Whyke Anthology: Has contest in the past or at present posed any harm or hazard to the literary world? Veralyn Chinenye: Not any that I know or have heard of. Whyke Anthology: Would you thus, personally implore a budding poet to enter a contest? Veralyn Chinenye: Yes. At first its a challenge, but sometimes, first things become first. Whyke Anthology: What advice would you give Organizations/bodies that organize contest across Africa? Veralyn Chinenye: Debunk soliciting for likes, comments and votes and get judges to work. Whyke Anthology: Finally, what advice would you give to prospective writers “poets, prosaists, playwrights” who are planning, or have entered into or won any contest? Veralyn Chinenye: For those who are yet to enter for contest, they should hurry and enter, for water has lot’s of faces and they can’t possibly exhaust all, but they can try. For those who have won contests, they should keep getting better and not settle, for water changes face. This is knotty, but I hope you understand? Whyke Anthology: We say a big thank you for giving us a platform to hear from you. Veralyn Chinenye: I’m glad you did. Whyke Anthology: We’d love to hear from you some other times. Veralyn Chinenye: The feeling is mutually shared. Whyke Anthology: Thank you, & bye for now. DON’T ASK ME HOW I BECAME A MAN. Dear Whyke Anthology, bundle of thanks to you, for sharing my voice on your platform! I am deeply grateful!